Good games DR, I haven't played a Byte & Barq for a while! Games have been good. For H. I was using my pro controller. Should probably have stayed with it. This current one between you two is insane! Also I think we'll need a dedicated chat room for next time. Discord is usually the way to go. Last edited by H.Kazuhira on Thu Jul 27, 2017 9:44 pm, edited 1 time in total. Some great matches again. I feel the only thing that stops me is the need to rush in. Just the racer in me, more than likely. Jesus those were so tense. Couldn't tell who would win it. Thought the character change might win it for me, but you played really well. Think you could've 2-0'd me if you used your rushes sooner! Need to play again some time for sure. And yeah definitely agree about the Discord, much easier than just posting messages on here lol. Finished my matches with DR as well, 2-0 to me. Was a fun match, had some nice back and forths. 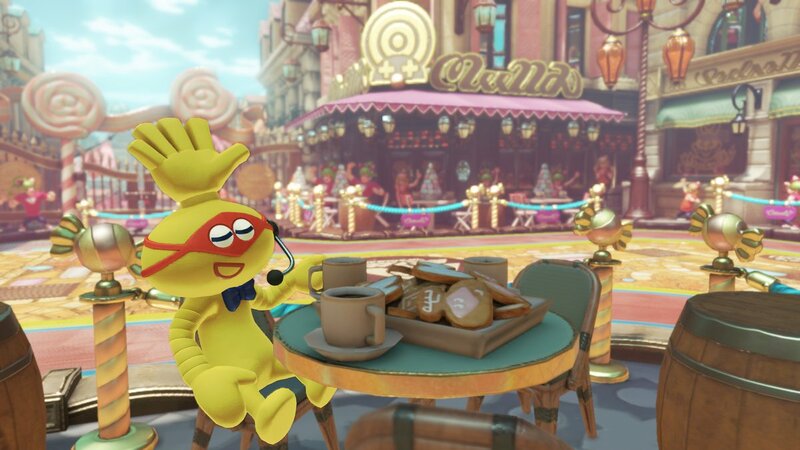 Re: ARMS - Tournament Time: Congrats Swarf! Oh, it'd certainly be a good thing to have a small tourney from time to time. And seconded on the Discord. Maybe I could set it up, since I did the Mario Kart one. Maybe make one for SONM as a whole with various room maybe. Re: ARMS - Still playing? Remember I was complaining about Ninjara, but I eat those fools up now pretty much. Hopefully we get more people join too. Interested in playing Bee Doof. Everything is set up on Discord, so SONM is the base with various channels within in. That means if you'd already been accepted into MK8 Weekly, all you have to do is sign in and head for SONM Discord - as it's now been named. 9 Characters is pretty damn neat, if this is any indication of what we'll be getting. Bit confused with who Twintale could be tho. I know it's spelt as tale, but what if it's a character that fights with two tails. Would certainly be different lol. If Max Brass is anything to go buy then I can see us getting a new Stage with every new Fighter. As well as 3 new Arms, which is pretty hype! Hoping to see more unique ARM ideas too. All round tweeks and buffs. Love that they are putting in serious work with keeping a balance. Even the little things like Barq getting up faster lol (even tho I despise fighting them). We're getting a new Fighter with the next Update tho, which i'm even more excited for after those names leaked. Last edited by H.Kazuhira on Wed Aug 09, 2017 10:47 pm, edited 1 time in total. I keep dipping in and out of playing, but have worked my way up to 13 in ranked now which I'm pretty pleased with. 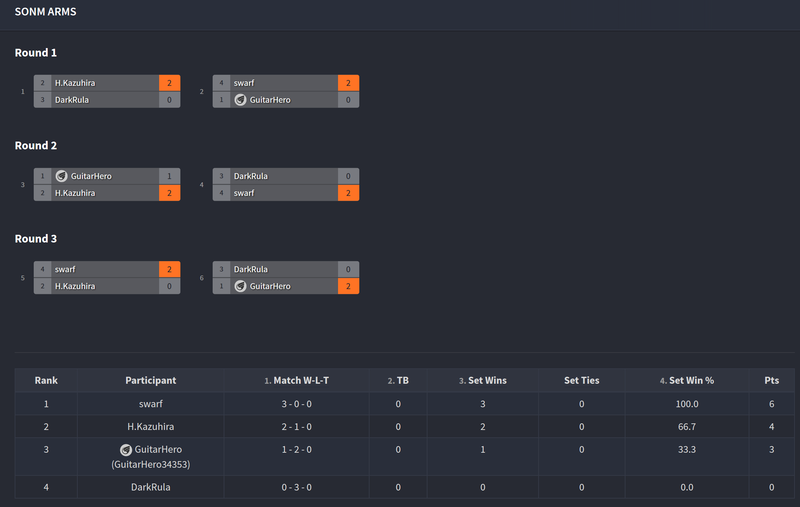 Had some great matches, often getting bodied in the first round and then adapting to pull it back in the latter 2. Really satisfying! Need to find time to put in since I've been distracted by other things lately. Still sitting on Rank 10 lol >,> Hoping we get info on this new Character soon too. Can't really be a Nintendo game without something candy themed these days huh >,> Seems easy to guess what type of fighter we'll get from looking at this. The stage is shaped pretty unique too. I'm mostly excited to see what new Arms we get lol. Gimmie some licorice whips. He seems kinda small...which will be tough for grabs! I was really expecting something more obvious, but this is a nice surprise. This fighter looks funky. Seems to have a super jump or something for their special too. What's with those Arms?? The spinning effect looks really cool! Looks like a clown sort of thing to me? Either way, excited to have a new character plus a new stage and arms. Looking forward to it! Rank-wise, I'm not up to 16 and trying to slowly make my way up. Played against someone who is rank 19 a few times over, only managed to beat them once but they friended me afterwards which was nice. They had 220 hours of ARMS playtime though!